In recent weeks, as part of a "preliminary nonpublic investigation," representatives from the Federal Trade Commission have interviewed members of the book trade about indie bookstores' use of wholesalers and, in at least several cases, indicated that the interviews stem from an interest by Ingram Content Group in buying Baker & Taylor, Shelf Awareness has learned. The investigation signals that Ingram or B&T or both had approached the FTC to see if it would have any antitrust objections to such a deal. One person who was interviewed described the FTC's approach in the interviews as "fact finding" that revealed little about the impetus for the investigation. If such a deal takes place, it would mark a striking consolidation in the wholesaling part of the book business, leading to just one national U.S. wholesaler, whose role would be all the more significant because of the closure of most regional book wholesalers over the past quarter century. Both Ingram and Baker & Taylor declined to comment. Booksellers contacted by Shelf Awareness expressed deep concern about an Ingram/Baker & Taylor combination. One said, for example, "The diminishment of wholesale options is something indies would not like to see." Another noted that B&T, which has traditionally focused on the library market, has "upped its game" in recent years in the trade bookstore market and is an important player even though Ingram is the dominant book wholesaler to the trade, and B&T's loss would be felt. But one bookseller saw a positive element to a possible purchase, saying, "On the one hand, you never want to have only one wholesaler. On the other, if this is what's needed to ensure we have at least one viable national wholesaler for the future, that isn't a bad thing." ABA CEO Oren Teicher said, "To our knowledge, there has never been an instance in the book business when the elimination of competition--and a further concentration of decision-making in fewer hands--has worked to the advantage of booksellers, publishers, or authors, let alone the reading public. We hope these reports prove to be untrue." Baker & Taylor has been owned since 2016 by Follett, which offers a variety of products and services for schools, libraries and bookstores and manages some 1,200 college and university campus stores. Follett also owns Bookmasters, the printer and manufacturer; B&T's Publisher Services unit, created last year, took over Bookmasters' distribution business and is adding its own clients. Ingram is the major trade wholesaler and also has leading operations in publisher distribution, particularly since its acquisition of Perseus's distribution business in 2016; print-on-demand, with Lightning Source; self-publishing via IngramSpark; and more. Both Follett and Ingram are privately owned. We at Shelf Awareness wonder if a sale of Baker & Taylor by Follett might be related to a Follett offer for Barnes & Noble. B&N said in October that it had received several expressions of interest in buying the company, one of which involves chairman Len Riggio. Follett may want to sell B&T if it aspires to buy B&N, an approach that would lessen FTC concerns and avoid B&T's non-B&N retail customers objecting and possibly taking their business elsewhere. In 1998, the FTC was involved in the proposed purchase of Ingram Book Company by B&N. Indies protested vociferously, threatened to take their wholesale business elsewhere, and sent many letters to the FTC, whose staff ultimately recommended that the Commission not approve the deal. At that point, the deal collapsed. In the past 20 years, book wholesaling has changed in some important ways. For one, Amazon, which also objected to B&N's proposed purchase of Ingram, now has its own, very intricate distribution network and doesn't rely on book wholesalers the way it did. In addition, many publishers have dramatically improved their own fulfillment services, leading booksellers to increase their direct ordering. And the trade market has shifted as Amazon continues to grow; Borders went out of business in 2011; and B&N has ongoing problems. Indies have rebounded this decade, and while these days they tend to buy less from wholesalers, the wholesalers still play an important role in their business. For one, wholesalers continue to be the source for fast delivery of special orders, stock for events and hot titles--a service that's all the more crucial in the digital era. For most indies and for B&N, wholesalers remain a key part of the bookselling equation. But to have just one is, as one bookseller put it, "unfathomable." We'd like to hear your thoughts on this--please leave a comment below or e-mail news@shelf-awareness.com. You need to be logged in and activated to post a comment. To login, click here or if you are not yet a member register here. I am a publisher of both prose and graphic novels. I agree with what Bram Meehan says. One distributor is a TERRIBLE Idea. Comic book stores only deal with one distributor who is the gate keeper for what people see. In order for Indie books to get into the hands of readers there needs to be choices. I have worked with both Ingram and B&T and I have found both companies to have pros and cons. To merge them may kill my company as well as distroy the chances of other companies to get their books to stores and readers. I work at a comic shop — for those who may not know, there is one distributor in the U.S. (and most of the world) for periodical comics, and, in effect, many of the trade books. From our experience it is a very, very bad thing to have one distributor with no competiton. Oren Teicher's comment is completely correct. Monopolies benefit everyone for a short time (they seem so efficient!) but no one in the long term, including the owners. B&T is a great service & option (though their packing is often terrible) Ingram does a great job but at times seems more aloof and less personal to us.They need competition.The gorilla in the room should be obvious to all. Amazon must be split up, just like Standard Oil of NJ and the Rockefeller empire. BTW Rockefeller made his massive fortune after he was forced to split. Maybe that's what Bezos really wants! Amazon should never have been allowed to dominate the new and used markets, self publishing etc. Needless to say a "hack" of its database (even by an internal sabotage) would reveal profound private information, which is another reason to limit the size of the players in the publishing and book selling world. The consolidation of Follett and B&T was a big hit on the school library market. Follett has almost complete vertical integration of the entire operation and product in my school district. I always valued working with B&T, esp. for certain high school subjects. Miss them. Cannot understand why that consolidation occurred. The pendulum would eventually swing back, but I agree with Oren Tiecher’s precise and thoughful comment. What a nightmare this would be for my store. B&T is responsive to the little guys like me and offers some nice discounts. I’ve been waiting for two weeks to get an account set up with Ingram. I just want to mention a few other wholesalers - Nataraj Books, Integral Yoga and New Leaf offer many health and wellness titles, hard to find esoteric books as well as some mainstream books too! Should any of this come to pass, authors, publishers bioksellers and the reading public will be the losers. This kind of consolidation, just as with Amazon's hegemonic verical integration, will imperil the biodiveristy of the industry even further. Polis Books, Hoboken, N.J., is launching a new imprint called Agora, dedicated to "unique, diverse voices in crime fiction." Agora will publish its first titles in the fall of 2019 and be led by Chantelle Aimée Osman, who joins Polis Books as editor. She is the former editor-in-chief of RT Book Reviews magazine and co-host of the Crime Fiction podcast. She has also been a freelance editor and is the author of numerous mystery works and the multivolume Quick and Dirty Guides to... series. 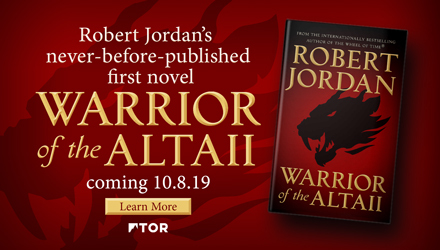 Agora's first three titles will be Three-Fifths by John Vercher, Remember by Patricia Smith and The Ninja Daughter by Tori Eldridge. Barnes & Noble has introduced a new Nook 7" tablet, which has expanded storage and a $49.99 price tag. B&N said the device offers twice the storage space as the previous model at 16GB (expandable up to 128GB), a front and rear facing camera, Bluetooth capability, a headphone jack, a speaker and a microphone. Bill Wood, chief digital officer for B&N, described the tablet as "a lightweight and affordable option for book lovers who also want the ability to browse, send e-mails, and listen to music. We think this new tablet will delight both current Nook users as well as introduce new customers to this affordable Nook device." 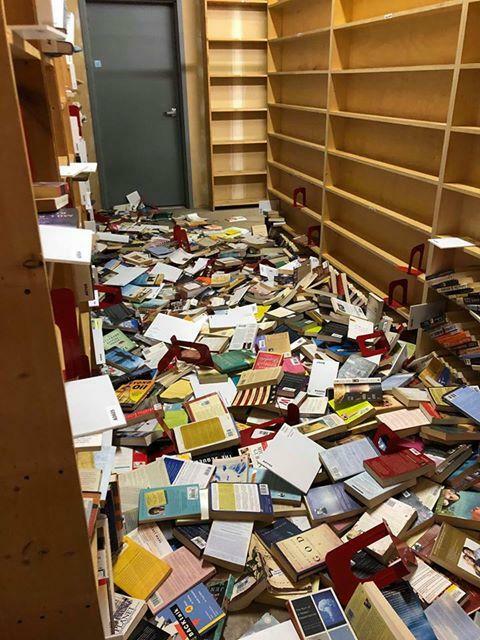 Binc shared this photo from Angela Libal, owner of Title Wave Books in Anchorage, Alaska, taken after the earthquake last week. Libal reported that her customers, staff and community all came together the morning after the earthquake to help get everything organized and put back on shelves so the store could open. Over the weekend, the store held an earthquake sale ("Our warehouse books were all tossed to the floor during the recent earthquake. Rather than making them pretty again, we're offering you an all-access pass to shop-shop-shop!!... All warehouse books only $2.00.") and a special earthquake-themed storytime. All of the bookstores and booksellers that Binc has been in touch with in the region are okay, and most of the stores have reopened. I Am Books, Boston, Mass., tweeted a photo of its sidewalk chalkboard, noting: "The sign never lies." 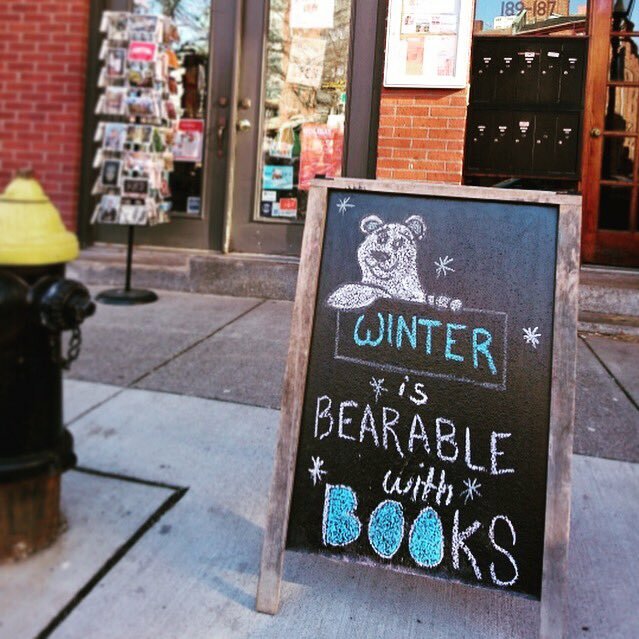 The board's message: "Winter is bearable with books." Effective December 12, Gayley Avery is joining the DK New York office as v-p, marketing & publicity, a newly created position. She was formerly marketing & publicity director at Bonnier Publishing and earlier worked at Scholastic for six years, as director of licensed publishing and then as marketing director. She started her publishing career at Simon & Schuster and has held marketing positions at Random House Children's Publishing and DC Comics. Staci Burt has joined Grand Central Publishing as a publicity manager. She was previously at St. Martin's Press. Rachel Bergquist has joined S&S as marketing assistant to Education & Library. Amanda Livingston has joined S&S as marketing assistant to Education & Library. 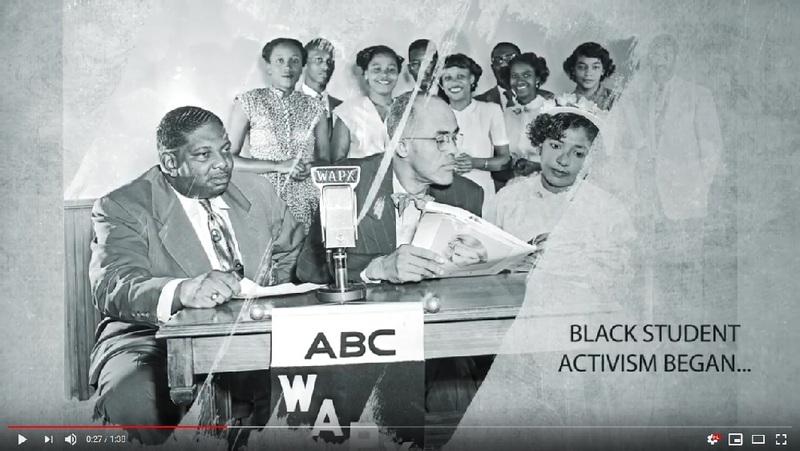 Shelter in a Time of Storm: How Black Colleges Fostered Generations of Leadership and Activism by Jelani M. Favors (University of North Carolina Press). Fresh Air: Alan Rusbridger, author of Breaking News: The Remaking of Journalism and Why It Matters Now (Farrar, Straus and Giroux, $30, 9780374279622). The Real: Terry Dubrow, co-author of The Dubrow Diet: Interval Eating to Lose Weight and Feel Ageless (Ghost Mountain Books, $25.95, 9781939457714). 800-CEO-READ editorial director Dylan Schleicher commented: "Business books have long had a 'change' ethos about them, but the change that business brings to society isn't universally positive. It is as important to wrestle with the negative effects as it is to celebrate the ways in which business can and does make the world better. We are at an inflection point in both business and society. The eight books on our shortlist all tackle that in some way, with profound implications for the infrastructure we are designing and building today--technologically, culturally, politically, and socially." The winner will be announced at 800-CEO-READ's annual awards ceremony and business book industry celebration in New York City on January 17, 2019. British bookseller Foyles announced its three Books of the Year, with Convenience Store Woman by Sayaka Murata (translated by Ginny Tapley Takemori) taking the fiction crown; Natives: Race and Class in the Ruins of Empire by Akala earning the nonfiction prize; and Children of Blood and Bone by Tomi Adeyemi winning children's book award, the Bookseller reported. The selection process involved shortlisting from relevant category buyers and a company-wide staff vote. Now the titles will receive "significant focus instore and online throughout the festive period across windows, table displays, in-store screens and online on the Foyles website, where a bundle of all three titles is also available," Foyles said. Marketing manager Gavin Read noted that the judging process considered not only commercial success, but also how the titles represented the ethos of the historic chain, which was acquired by Waterstones in September: "Sales are important--both sales so far and how a book might go on to perform as a Book of the Year--but we also wanted three books which, across their breadth, represented who we are and what we strive to be as a company. That's not easy when you're seven different shops and a website, 115 years old but having transformed yourself quite radically in recent years, and are made up of 187 informed and passionate readers." Regarding Convenience Store Woman, Foyles' fiction category buyer Ben Morgan said: "We've been with the book from the start, with an exclusive early release back in June, and it's been an important part of a wave of Japanese hits that have reshaped our promotional landscape. Sales have been phenomenal, and it's beloved by both our customers and our booksellers." Gary Powell, nonfiction category buyer, described Natives as "an incredible, urgent, profound and accessible book that should be pressed into everyone's hands: a personal story, compellingly told, and a devastating cross-section of race and class prejudice in our society." Children's category buyer Kirsty Hurst called Children of Blood and Bone the "absolute stand-out favorite in the staff vote. It's a real bookseller and customer favorite, for both YA and adult fiction readers, and with the film adaptation and the sequel novel due for next year it's clearer than ever that this is really just the beginning of an incredible journey." 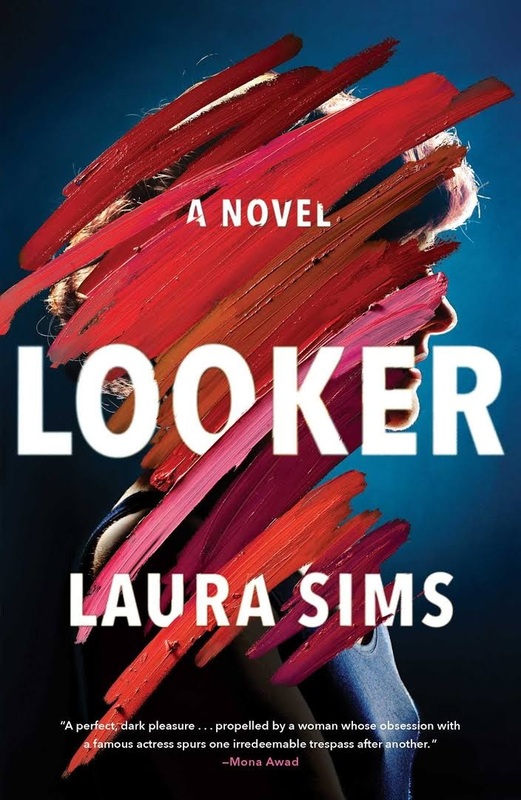 Tense, twisted and briskly paced, poet Laura Sims's debut novel, Looker, is the progressively disturbing story of one woman's grief-fueled spiral downward to an irredeemable rock bottom. Looker's unnamed narrator starts out fairly sympathetic. Her marriage and her finances have recently collapsed under the strain of years of unsuccessful fertility treatments. She lives alone with her ex-husband's cat, and she spends most of her time smoking on the stoop outside her New York City apartment building. Still stinging from loss, she's bitter and self-pitying, but she's also a poet with a wry, dark humor and a keenly observant eye. Soon her heartbreak curdles into resentment and self-loathing, a poison that warps her judgment and slowly narrows her vision to one obsessive, laser-focused point. That point is her neighbor, a beautiful, very famous actress with a handsome husband, three adorable children and a gorgeous home into which the narrator has a direct view. To the narrator, the actress appears blessed and untouchable, her life almost grotesque in its apparent perfection. "It strikes me as funny--that billions of us could be schlepping along... barely surviving, while one person gets to be praised and lifted up by eternal light," the narrator muses as she watches the exquisitely dressed actress float by with her baby. "When she passes my stoop without turning to look, I'm there with my cigarette in one hand, the other covering my mouth, convulsing with laughter." Despite this bitterness, the narrator, whose life is becoming disastrously unstable, develops a frantic and obsessive desire to make an impression on the actress. Her obsession, already a bit hostile, takes a destructive turn, and by the novel's last pages, the narrator's desires for connection and friendship have warped into delusional fantasies of trespass, violation and, eventually, something even darker. Somewhat surprisingly, the most disturbing thing about Looker is the creeping sense of complicity that Sims engenders in the reader. Her first-person, present-tense narration forces readers to join the narrator as she grows more daring, as though we too are peering in the actress's kitchen windows and stealing things from her front yard. However, the actress is never more than an image, while the narrator's psychological unraveling is starkly, brutally real. By the end, Sims compels us to ask: Have we been deranged, predatory voyeurs into the actress's life--or into the narrator's? --Hannah Calkins, a writer and editor in Washington, D.C. Shelf Talker: There's nothing innocent about "looking" in Looker, the insidiously unsettling story of a woman obsessed with her celebrity neighbor.